It’s time for another student interview. 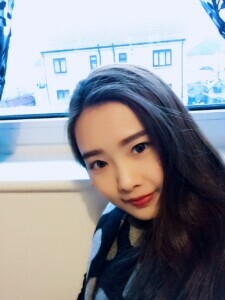 Today, meet Monica from China, who is 23 years old and is studying on our 20 Hours English Course. Hi Monica, whereabouts are you from? I am from Jiangxi Province, but I now work in Guangdong Province as an IELTS teacher. I teach students to prepare for the Listening section of the IELTS exam. Why are you studying English at Select English? I have a story to explain that! I took the IELTS exam in China and got a level 6.5, which meant that I could study a Masters degree at University in the UK. However, my parents were worried about me living in a different country on my own so they wouldn’t let me go to University here. But my friend suggested that I could take a shorter English course instead, so that I could still get the chance to experience the UK, but my parents would not be so worried. So what do you want to do when you finish your English course? I might continue to teach IELTS preparation, but I would also like to be an educational agent or school representative. This would mean I would be able to travel to the UK again for my job! What do you like about Cambridge and the UK? I love all the old buildings, the castles and cathedrals. Cambridge is very beautiful. I also love the sky in the UK, it is much more beautiful than in China. If you have never been to China you cannot understand how different the sky is. I keep making my friends in China jealous by sending them photos I have taken of the sky here! What do you like to do in your spare time here? I have another story for you! At the weekend I wanted to visit Cambridge University because it is very famous. I asked a lady in the street where I could find it, but she told me that the university is everywhere and there are parts all over the city! So she directed me to St John’s College. [We show Monica how to find the most famous and beautiful college of Cambridge University, King’s College, which is in the city centre]. I also go into the city centre every day and I have done lots of shopping! Next I want to visit the Harry Potter Studios, see Charlie and the Chocolate Factory in the West End and visit York and Leeds Castle. What do you think of your classes and your homestay accommodation at Select English? The teachers are good and friendly, but it’s a very different teaching style to classes in China. I like my homestay; my host mother cleans my room for me which makes me feel warm inside and she also makes nice salads for me when I am worried about eating too much!